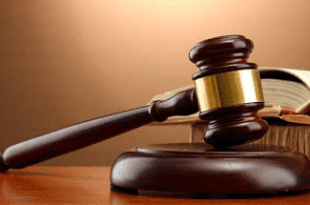 A 23-year-old teacher, Ibrahim Idris, on Tuesday appeared before an Ikeja Chief Magistrates’ Court for allegedly defiling three teenagers of the same parents. The accused, who teaches Arabic, resides at No. 2, Kelani St., Adealu Bus Stop in Dopemu, near Lagos. He is facing a charge of defilement for the offence. The Prosecutor, Insp. Clifford Ogu, told court that the offence was committed from May to August, 2017 at the residence of the accused. Ogu said that the three sisters, whose ages range from seven to 12 years, were receiving Arabic and Islamic lessons from the accused. “The parents did not know that the accused was sexually molesting their daughters until they relocated to another area and needed to change their Arabic school. Ogu said that on hearing her daughter’s remark, the mother asked questions and was told what the previous teacher was doing to them. “The case was reported at the police station and the accused was arrested,” the prosecutor said. The Chief Magistrate, Mrs Taiwo Akanni, admitted the accused to bail in the sum of N250, 000 with two sureties in like sum. Akanni adjourned the case until Sept. 11 for mention.